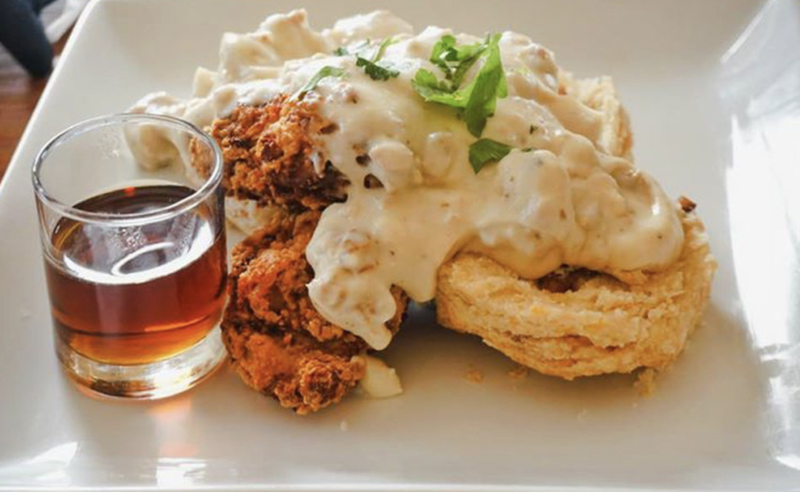 Crema Pacific Grove | Brunch at Crema is Always a Good Idea! A few weeks ago, I was invited by Crema, an espresso and brunch hot spot, in Pacific Grove to attend a private local blogger/social influencer brunching event. I was ecstatic because I love Crema! My friend, Tara, actually introduced me to this place and I enjoyed the food and atmosphere so much, I decided to include it in one of my Day Trip videos (Day Trip to Pacific Grove) earlier this year! So last Thursday, the Instagram boyfriend and I drove our appetites to PG for breakfast at 8:30am. As I’ve mentioned before, Pacific Grove is such a beautiful little town. I totally fell in love with it during our day trip so it was nice to get to see it this early on a weekday. Anyway, as we arrived, we saw the Crema coffee shop was already hustling and bustling with people trying to snag, probably their most popular coffee drink, the Fog Breaker (which we tried once upstairs. SO GOOD!). There were also a few people seated outside with coffee in one hand a leash to their adorable pooches in the other. A VIBE for sure! Immediately entering the restaurant, we knew where to go because we spotted a handful of bloggers circling a table while taking pictures of the food! That signaled to us that the festivities had begun, and that Joey needed to get his camera ready. We walked in to a beautiful set up amid the gorgeous morning light. There was a mimosa station, a yummy dish on display in the garden room, and the tables were brilliantly set up to include Crema’s original menu, along with their secret menu atop, and a cool Crema cap so we could rep at any time. Joey was busy getting all the shots (I tried to imitate him with my phone, but I have no skill when it comes to angles), and so I decided to introduce myself to another couple that was there.